These efforts in are honor of a little girl I never met, but wish I had the chance. I will never get to know Alexis because cancer took her from this world. Thank you for visiting. As you know this cause is very dear to me, and I'll appreciate all the support I can get! 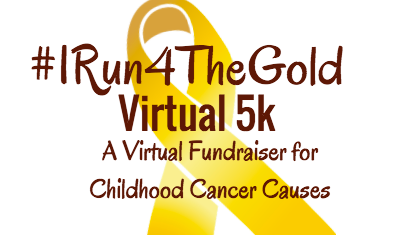 I am not a runner but in honor of my dear friend Jonathan who lost his daughter Alexis to DIPG, and in support of the foundation so near and dear to my heart #IRun4TheGold!